It is difficult to forget the best moments you shared with your ex who dumped you. Maybe you feel something for him/her, but nothing is reciprocated. All you need is space and to mind your life. There is no need of making your ex jealous as this shows some degree of desperation. 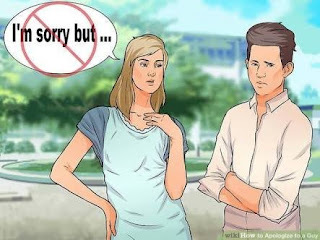 However, if you have made up your mind that you want to make your ex jealous, then you need to follow the following tips, and he/she will be driven crazy to come and request you, to rekindle your old love. This will drive one crazy. Your ex will feel like you have moved on and you do not care about him/her. This will make them very jealous and come asking for forgiveness. Do not block or add your ex to the blacklist, do not cancel the calls and never should you answer them. When your ex is not with his friends, spend time with them telling them how great they look. However be cautious not to bring up the issue of your ex with them because they will tell him/her. Do not fall into their trap. This will make your ex jealous since you are not bothered with his/her life. Go to the gym to maintain your shape. Buy new clothes and change your hairstyle. Feature the aspects your ex wanted you to reduce like maybe, taking alcohol. This will make them jealous and forget all the negative perspectives created on you. 4. Be mature and gentle. In case you meet your ex, do not assume him/her. Go to them and say ‘hello’. However do not spend much time with them, just after the greetings go your way. This will make him/her realise that you mean business and you have moved on. He will be jealous. 5. Do not be jealous if you realise Ex has a ‘new catch’. Although it stings, try to be gentle. Be sure it is a rebound, and nothing can come out of the relationship. They are trying to fill a big gap you left. With time, he/she will be mad after realising you do not give a damn, break up with the new catch and come after you. This will make your ex very jealous. When he/she sees you happy with friends laughing and talking, he will go crazy. Try to be close with that person your ex felt insecure of. This will make him/her realise the loss made and become so jealous to the extent of coming for forgiveness.